What can I say? This was simply one of Falkirk FC's greatest ever sides, not often would a Falkirk side challenge for the League title so effectively, there are some legends of Falkirk in this picture, nice they were appreciated in the National Media. From January 1908. 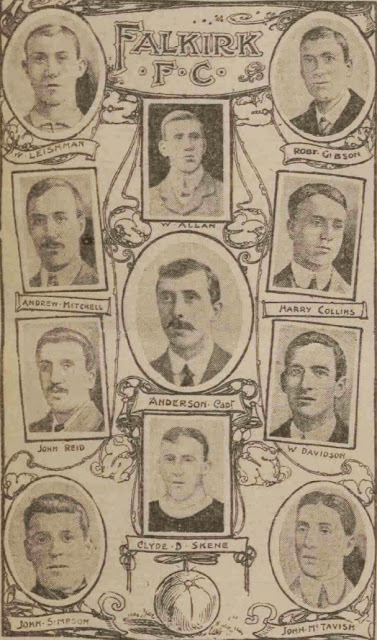 William Allan; William Leishman & Robert Gibson; Harry Collins, John Anderson & James Reid [sic]; John Simpson & John McTavish, Clyde Skene, Andrew Mitchell & William Davidson.